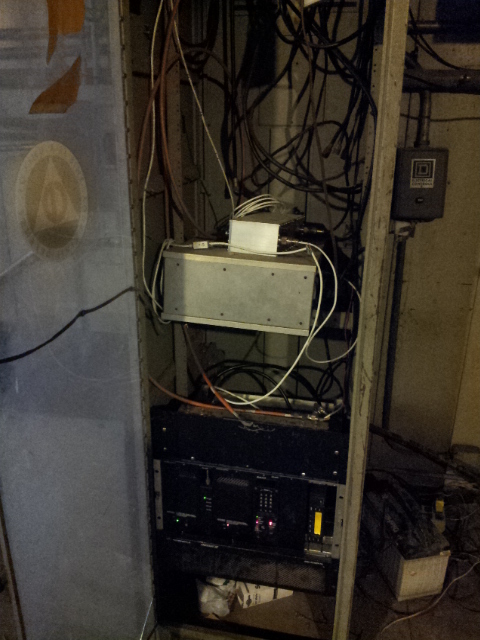 we got rid of the nasty ground loop that had been bothering the system for a long while. Basically what was done is we added a 600 ohm 1 to 1 transformer between the radio interface and the Linux controller and fixed the signal ground that was lacking. Also we gave the cooling fans their own power supply as well which helped in the motor noise issue. 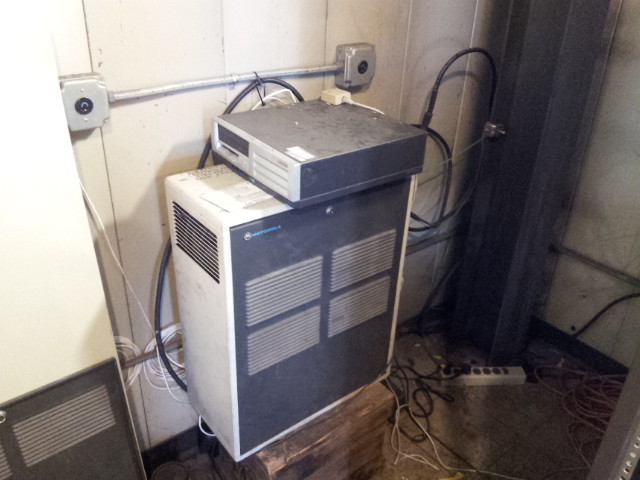 The fan noise was masking the ground hum issue which was found after we moved the fan power supply source. so we had in reality 2 issues. 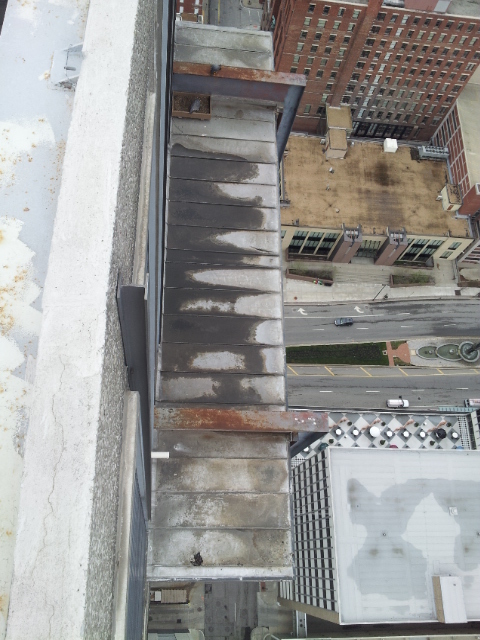 Here is a few pictures of the downtown site. 2 of Our Fine Feathered Falcon Friends Nesting. 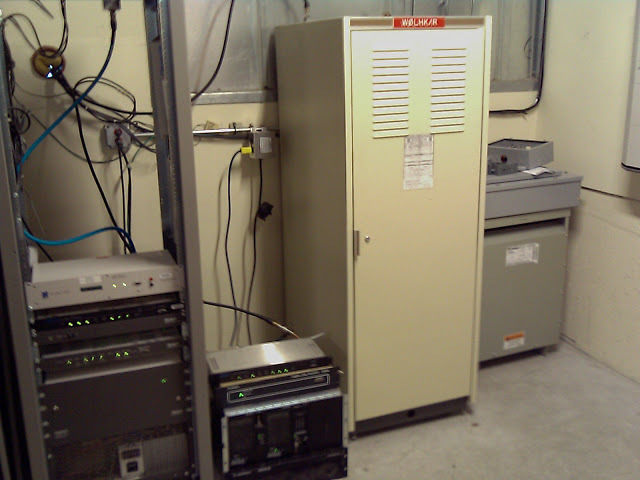 Our 927.1125 Repeater and the WB0KIA Central 224.100 Mhz Receiver Rack. The 900 Mhz repeater has a transmitter problem, so we will have revisit this on another day. The 224.10 Central Receiver checked out and was working fine. Kansas City to our Booth Tower site. to repair some issues we had out there. 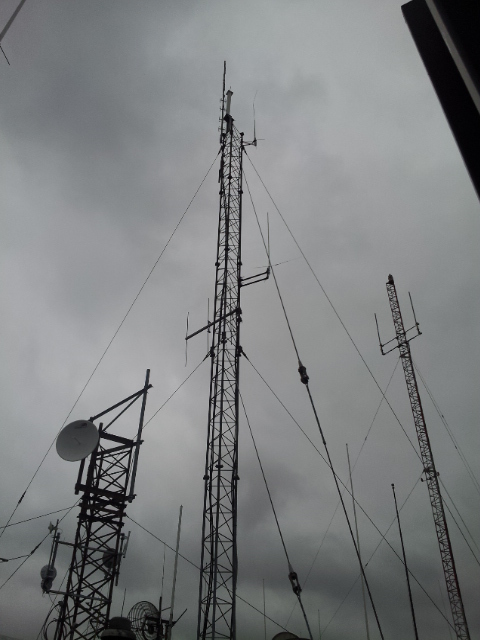 The 224.20 Repeater was restored to operational status after the feed line was damaged due to vandals this past fall. We also rebooted the LiveATC.net audio feed server so we could hear the KCI airport planes again. As it had shut down after the storms the other night. Found out that the UPS battery has crapped out , so UPS batteries are on order now. More to come..... All for now comments are invited. Sorry I have not posted here in a long while. Some of the BYRG tech crew will have a work day on Thursday, April 11, 2013.
network sites. Such as the one shown below. issue and get it going for another sister organization. We try and help out where and when we can. You see the BYRG tech crew works on all kinds of things for us and other ham clubs. We share our technical staff since some clubs & organizations don't always have the technical expertise or test equipment that we have, so we share our vast knowledge of this stuff in hoping we can get some younger fellows involved & interested in doing what we have done for the last 30 or so years. Here is a few pictures of some of our repeater sites and gear that we have worked on over the years..
A D-Star repeater stack Dayton Hamvention. Yea, we do all kinds of repeaters and modes. Analog, Digital, VHF, UHF, Microwave you name it we have probably done it! up and had it hooked up to the iCom Main Display Booth inside the Hamvention Arena so folks could try out the latest Icom HF gear..